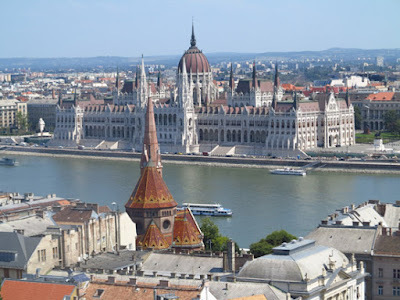 Budapest, Hungary is one of Europe’s prettiest cities. 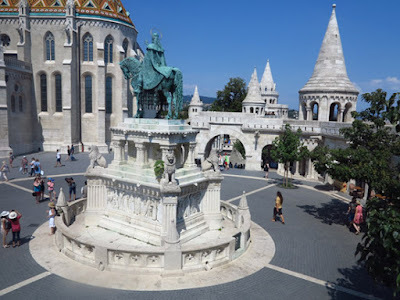 And that accolade will be reinforced when you visit Castle Hill, a high point on the Buda side that is visible from almost anywhere in the city. 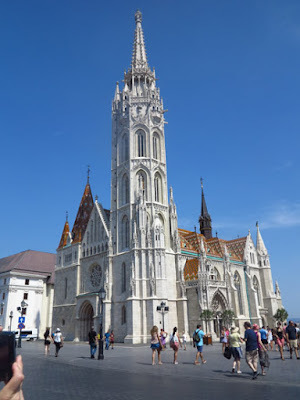 This World Heritage Site has many must-see attractions including the two most imposing structures, Matthias Church and Fisherman’s Bastion. For the best photos, especially overviews of the city below, this is the place to go. The Gothic style church, beloved by locals, was built during the 13th to 15th centuries. The most striking feature of the church is the 72-metre high Matthias tower on the south side. 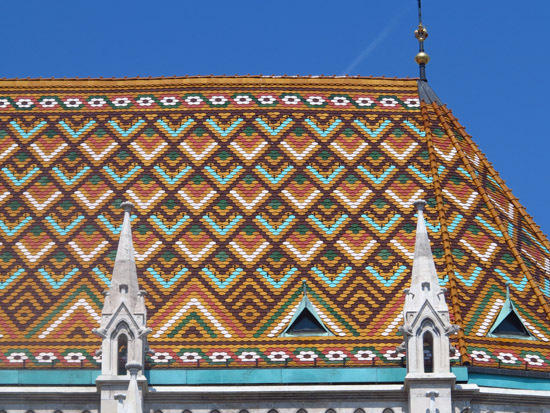 The Bale tower on the north side is covered with intricately-patterned glazed tiles, which make it a perfectly gorgeous building that is also known for its excellent organ and outstanding acoustics. 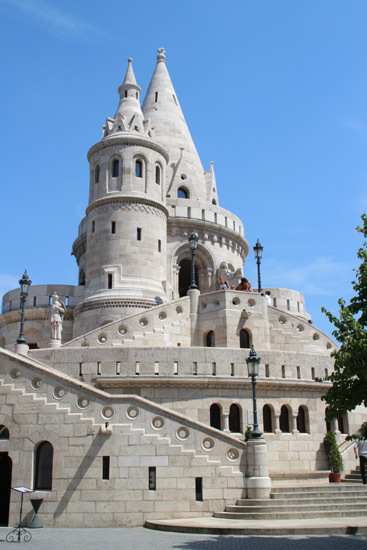 Fisherman’s Bastion is a system of stairs, turrets, and terraces at the eastern side of Castle Hill. Erected between 1895 and 1902 at the place where the fish market existed in the Middle Ages, it’s made for wandering and exploring. 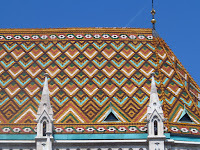 Although the bastions serve a decorative rather than defense function, arches on the walkways provide perfect frames for buildings and Matthias Church. Looking out from the terraces you’ll have a magnificent view of mountains, Margaret Island, several Danube bridges, Gellert Hill, and the Pest side of the city. The golden age of Castle Hill was in the 15th century, when many Italian artists and craftsmen arrived and Buda was an important European city. After the Turkish occupation (during which time Matthias Church was converted into a mosque), Buda was in ruins, and Castle Hill soon became the district of government. During World War II, Buda was bombed to the ground and had to be rebuilt. Today, the streets of the Castle Hill district still follow their medieval paths with some houses dating back to the 14th and 15th centuries. In addition to many shops, restaurants, and museums, Castle Hill is also a residential area. Cars have been banned; only people who live and work there are allowed to drive. Visitors must use public transportation. Castle Hill is also home to a large interconnected cellar system that consists of natural caves created by thermal waters and man-made passageways. 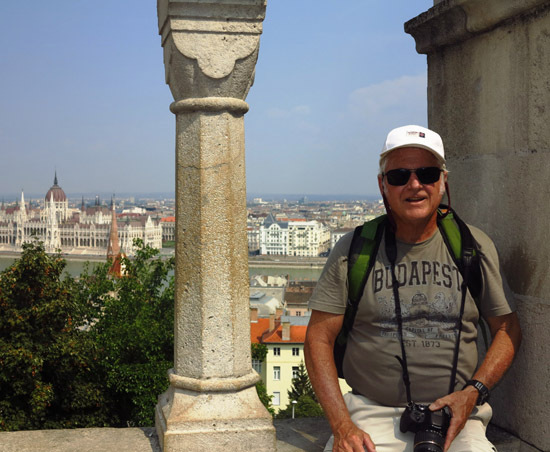 Part of the cellar system can be toured at the Buda Castle Labyrinth and at the Hospital in the Rock Museum. You can take the Funicular from Chain Bridge; the public bus, or walk one of many paths leading up to Castle Hill. Walking tours include all the major sights and allow time to stop at a café for refreshments. But the best way to see the area is to spend a couple of hours strolling along the cobblestone streets and exploring at your own pace. See the statue at Trinity Square, Matthias Church, and Fishermen’s Bastion for sure, and then check out shops, galleries, historic landmarks, and museums--Pharmacy Museum, Hospital in the Rock, and Budapest History—according to your interests and available time. There are many dining options from high end to casual, even picnicking, and it’s fun to take a rest break at an outdoor venue so you can watch people passing by. Quality handcrafted items like pottery (my favorite) can be found in numerous shops, so allow time for browsing.